His next stop was in Penn Square in Reading, where he spoke to 20,000 listeners. While moving through the crowd, an enthusiast reached out and ripped his shirt cuff. On the way to his next stop, JFK stopped at C. J Mervines gas station to change into a fresh shirt and take a few momemnts respite. 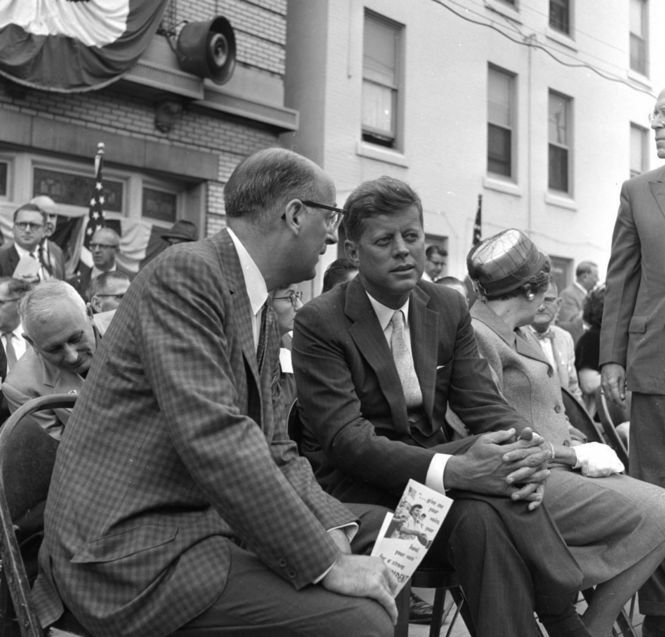 Kennedy was greeted by 7500 in Penn Square in Lancaster and then headed west to York county. 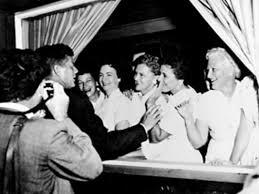 On the way, the crowds lining the route in the river town of Columbia were so enthusiastic, JFK had the motorcade stopped and gave some impromptu remarks while standing in his convertible. On the outskirts of York city, JFK had lunch at the Lincoln Woods Inn (now a Fat Daddys restaurant). He told the proprietor, who had built the Inn from the shell of an old stable, “If everybody did his job as well as you did, this country would be in lots better shape.